What is the best way to open up the back of the dash radio pocket? 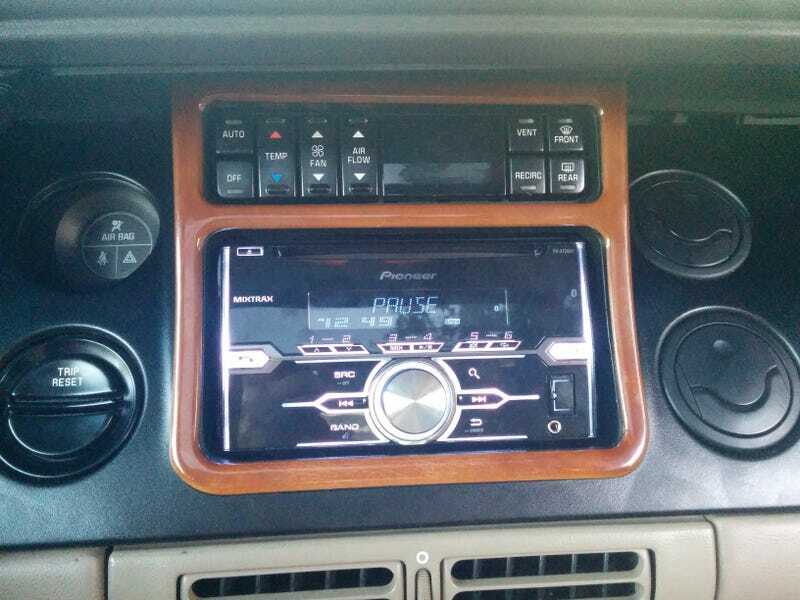 I have a really nice double-DIN Pioneer that I'd love to have in my Riv but it's too deep to fit and I don't really have any tool that could cut out plastic in the back of what is essentially a bucket like that. My install guy just busted it all out with a long flat screwdriver and a hammer. He went along making a "scribe" mark with it, and then eventually broke it all out. My Alpine was going to stick out like mad, too. It's nice and flush after the "mod". If you're worried, there's nothing back there. It's just a giant plastic cage. Break the back flat section out, and the radio slides all the way back. I used a Dremel with a drill bit. It's pretty messy but a lot more precise than just hammering it out. Either way works fine, like Abaddon said there's nothing important back there. I wonder if the cage was there to reduce NVH (or as the Asian Indians say, BSR - buzz Squeak and Rattle). I went around the edge drilling holes and vacuuming out plastic, then went between the holes with a flathead screwdriver and a rubber mallet. Super soft plastic. Worked great. 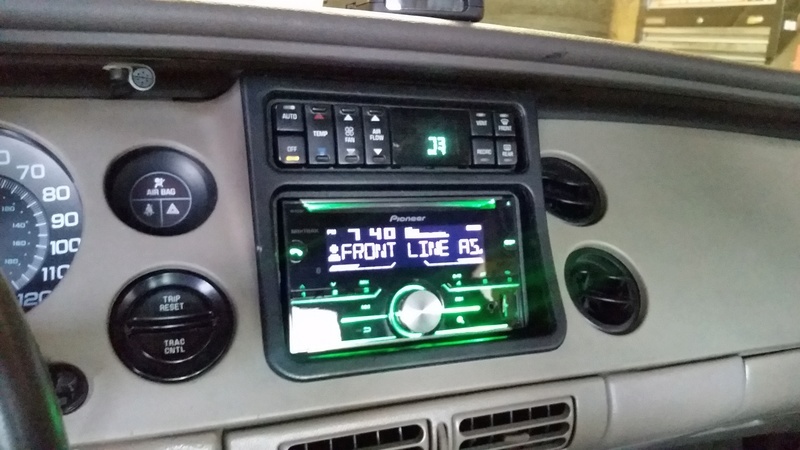 I put in my double DIN Pioneer and painted the dash black. Anyone know how to separate the "wings" on the door cards from the rest of the door? They look like they pop out but I can't figure out where to pry or what hidden screws might exist. Ignore the uneven-looking paint on the dashboard. There's a lot of greasy handprints that make it looks like garbage. I need to wipe it down with some degreaser. Looks like that worked well! 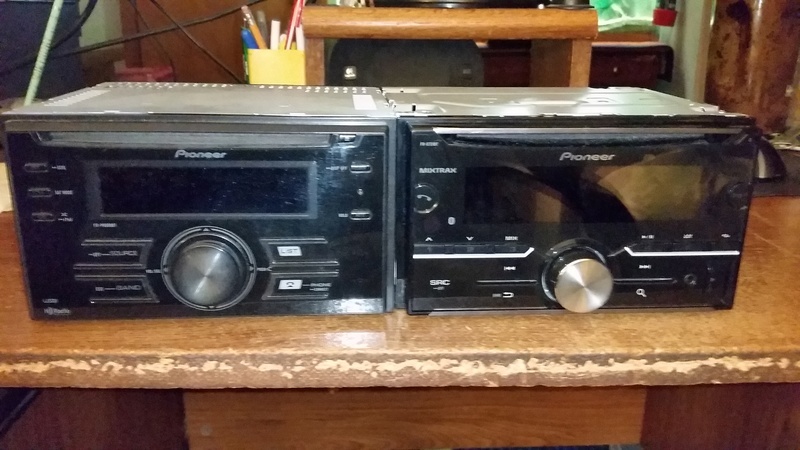 Stereo upgrade is on my list. There has been others who painted the "wings" hopefully they'll chime in. I like the look of the black, it reminds me of my Regal's dash. 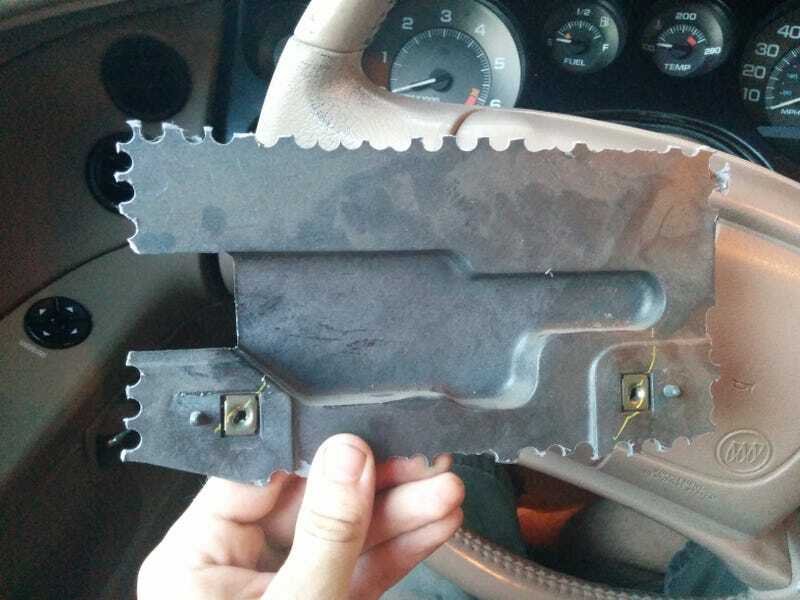 "They do come off of the door panel, but with a lot of difficulty! With the door panel removed you can see the tabs from that panel on the inside, they are actually melted or hot glued in or something of that nature. I'm sure they can be removed, I have never done it, but you would have to hot glue them back in or something like that." Yes. They have to be broken out, and then fastened back in somehow. I recommend a 2-part plastic epoxy. Well that's lame. Maybe I'll just get creative with the masking and paint them on the car. 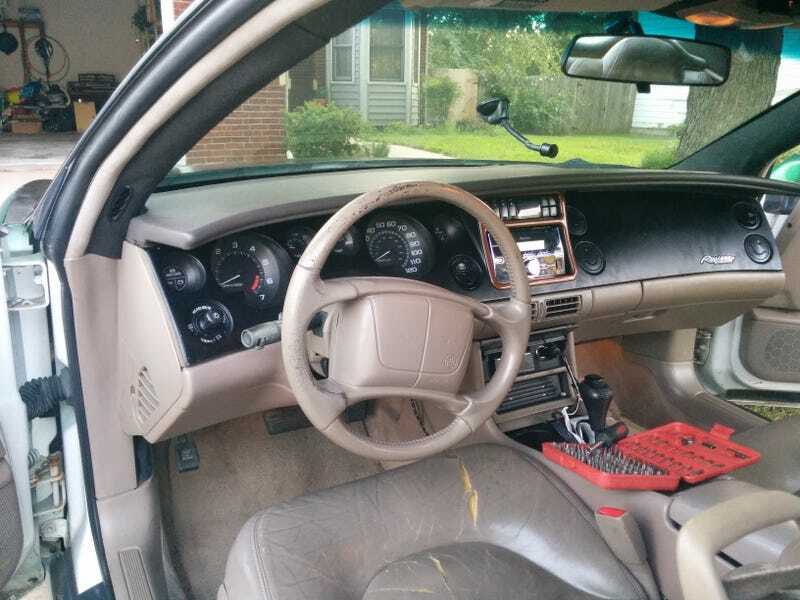 I'm just looking for instruction on exposing the CD player in my '95 Riviera. It keeps spitting out the CD and giving an error indication. I have a spare but don't want to mess up the cover. I THOUGHT that I asked this question yesterday and I got notified that there was an answer but I cannot find it (thus this 2nd attempt). 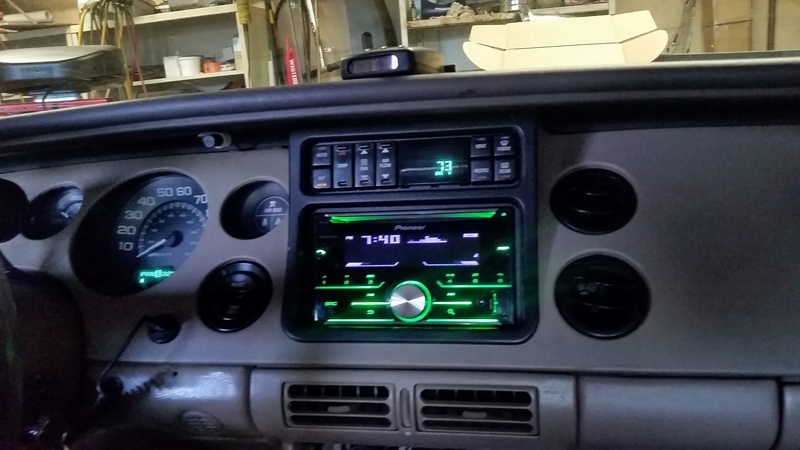 the '95 Riv dash differs from the '96 and later, and you got an answer already: http://rivperformance.editboard.com/t1187p75-write-up-riv-dash-and-door-removal#190868 - there is a chance you could not see the excerpt from the manual that was scanned into the reply. That scan answers your question. 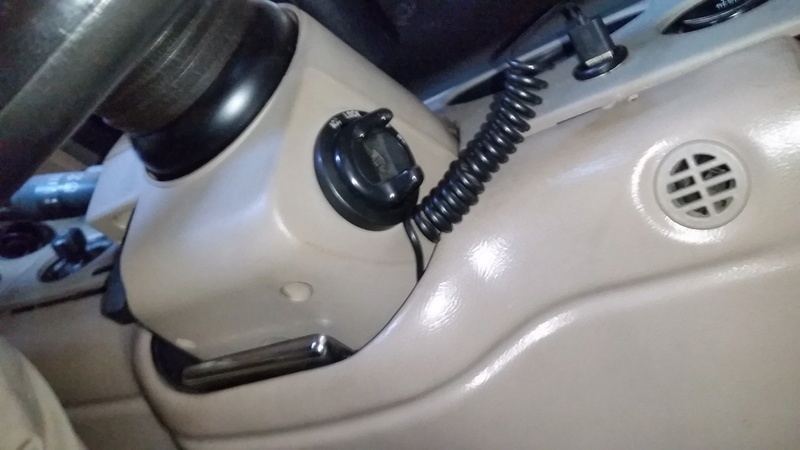 Basically the trim plate just pulls out and you may need to open the cupholder door for clearance. Once the trim plate is off then IIRC there may be a DIN mount or screws I forget which. 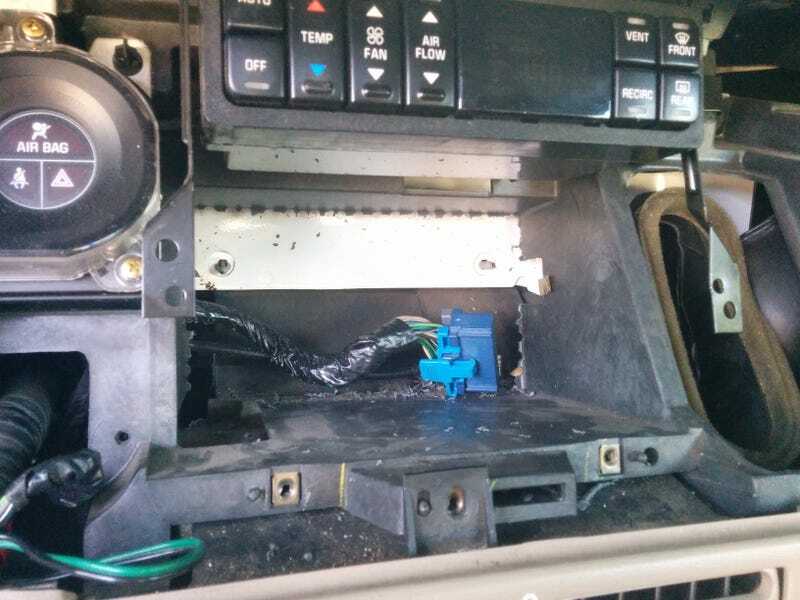 If you have to use DIN radio tools to remove the CD player, then there's a U-shaped wire you stick into a couple holes on each side of the device to relieve a couple springs and slide it out. If screws they will be obvious. When Lance answered you he recommended you get a manual. I support that - you'll avoid issues if you do and they are not that much when you find them: http://www.ebay.com/itm/1995-BUICK-RIVIERA-OLDSMOBILE-AURORA-GM-SERVICE-REPAIR-2-MANUAL-SET-/232343093429. I could go on and on about reviewing these two against one-another but I'll hold off unless somebody's shopping for something and wants the info.